Just someone who likes to make cool and random stuff. Ideas and inspirations come from my everyday life and friends. Lets! 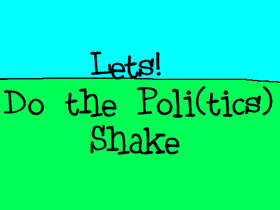 Do the Poli(tics) Shake!!!!!!!!!!!!! ADD EVERTHING SEE IF WE CAN GET 1000 PROJETS !!!! Add your projects! One of the worlds largest studios!